Interesting texture, bark and structure are important to your winter garden but when you find a shocking red color, now that’s wow for backdrop. 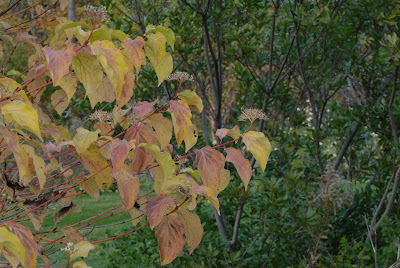 The Cornus sanguinea 'Winter Flame' (common names are blood twig or red twig Dogwood) offers that bright, red bark that intensifies in the winter sun. This variety displays red, orange, yellow and pink variations in its stem color, which creates a flame effect. 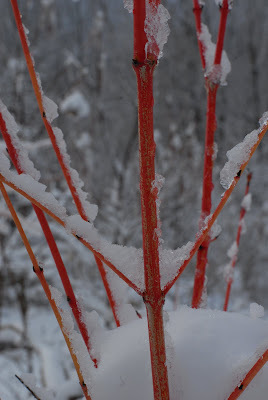 Hence, its name: ‘Winter Flame’. 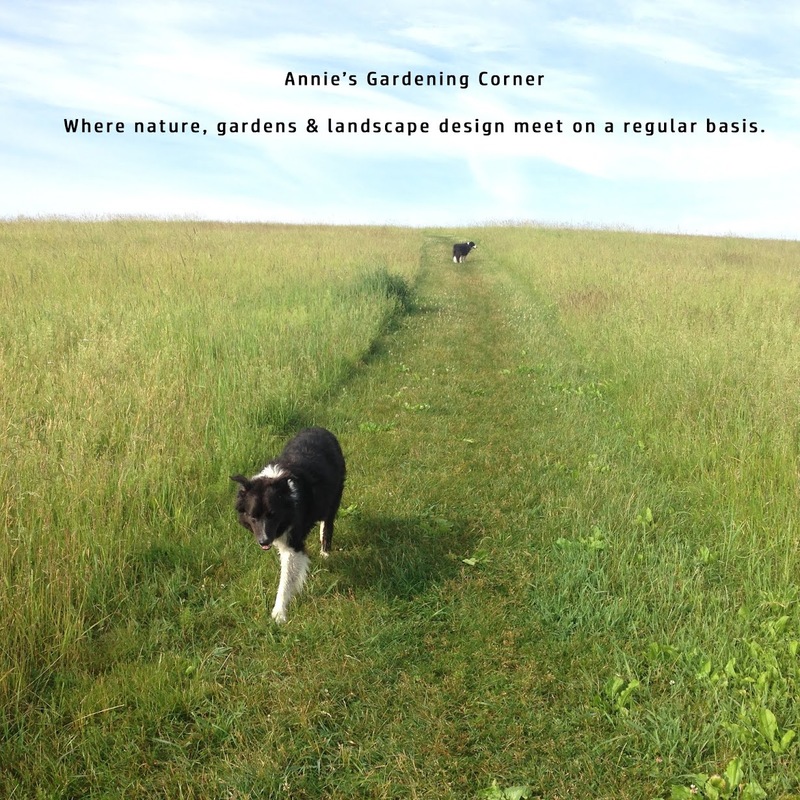 In Annie’s book, this is one of the most stunning winter interest shrubs you can add to your garden repertoire. It is the combination of all the best colorful stemmed dogwoods. To convince you of its unique color tones and characteristics, here is a fall foliage and winter shot. Winter Flame is hardy to zone 5 although severe winters can cause some tip damage to the shrub. As the plant matures, the bark becomes fairly subdued in color. To maintain the best effect, periodic pruning called coppicing removes old wood and generates a new flush of vibrant colored stems. Caution - use a slightly lighter hand typical of coppicing practices. Don’t remove all the stems in one year. Alternate the pruning of stems over a three to four year period. This shrub does like a moist location and can be used as a specimen or in mass plantings with blueberries and winterberry. Plant in front of an evergreen to show off its red bark; it is all in what you want to see when you plan your winter garden.